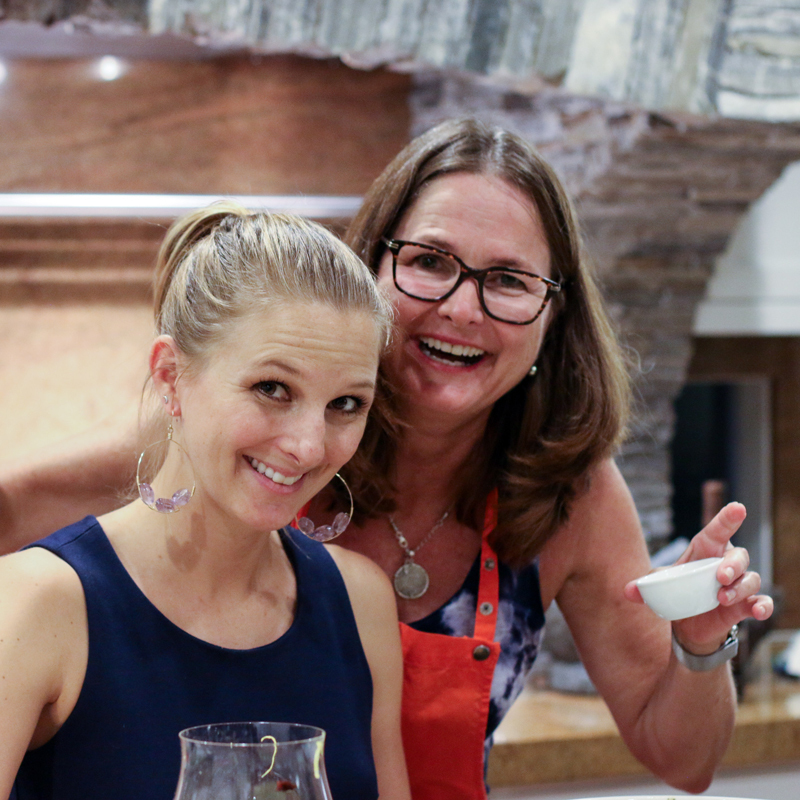 I recently attended the Blogher 2014 Food conference in Miami. It was quite amazing to be in the same room with 500 other food bloggers for 48 hours. I learned a tremendous amount, but want to share this one gem I learned in a session on Super Foods that I think everyone can benefit from. "A healthy diet can affect longevity. It appears more important to increase the number of healthy foods regularly consumed than to reduce the number of less healthy foods regularly consumed." Don't you LOVE that! The bottom line is you will live longer if you consciously work on adding a large variety of healthy foods to your diet, rather than concentrating on eliminating less healthy food. It is way more fun to add food than to eliminate. So don't beat yourself up over the french fries or ice cream you ate last week. Let's face it, it happens. Instead, develop a plan to regularly eat a variety of healthy foods. If you like this nutritional concept you may enjoy reading Dr. Wendy Bazilian's book The Superfoods Rx Diet: Lose weight with the power of SuperNutrients. Notice I say "veggies and fruit" and not "fruit and veggies." Why? Because it is easier to add fruit to your diet than veggies. Many fruits can be eaten without preparation, but most veggies require some prep, even if it is just cutting them up. For example, it is easy to eat an apple or a banana on the run, but a cauliflower or an eggplant takes some prep, and prep takes some planning and effort. Traditional American breakfasts are light on the veggies and fruit. One easy way to boost your consumption of veggies and fruit is to make a green smoothie in the morning. Add spinach, kale or a bell pepper to a fruit smoothie and you will be on your way to knocking down 2-3 cups of veggies and fruit. I have even thrown in a brussel sprout or two and felt virtuous for it. Buy vegetables for crudites, a fancy word for raw vegetable snacks. When you get home from the store or farmer's market, take a few minutes to chop them up. Even better, divide them up into snack size containers. We are at the greatest risk for poor eating when we are in a hurry. If you have pre-prepared veggies ready, you won't fall into the "I don't have time" trap. It wasn't that long ago that common wisdom was to avoid these "high fat foods." Now we know these fats are healthy and that they increase our satisfaction, making it less likely that you will splurge on less healthy foods. The color of veggies and fruit is often an indicator of different nutritional properties. By eating a wide variety of colors you will broaden your intake of a wide variety of nutrients. A delicious and painless way to get more veggies into your diet is to make cream-less pureed vegetable soups. These delicious and nutrient packed vegetable soups are really hot smoothies. 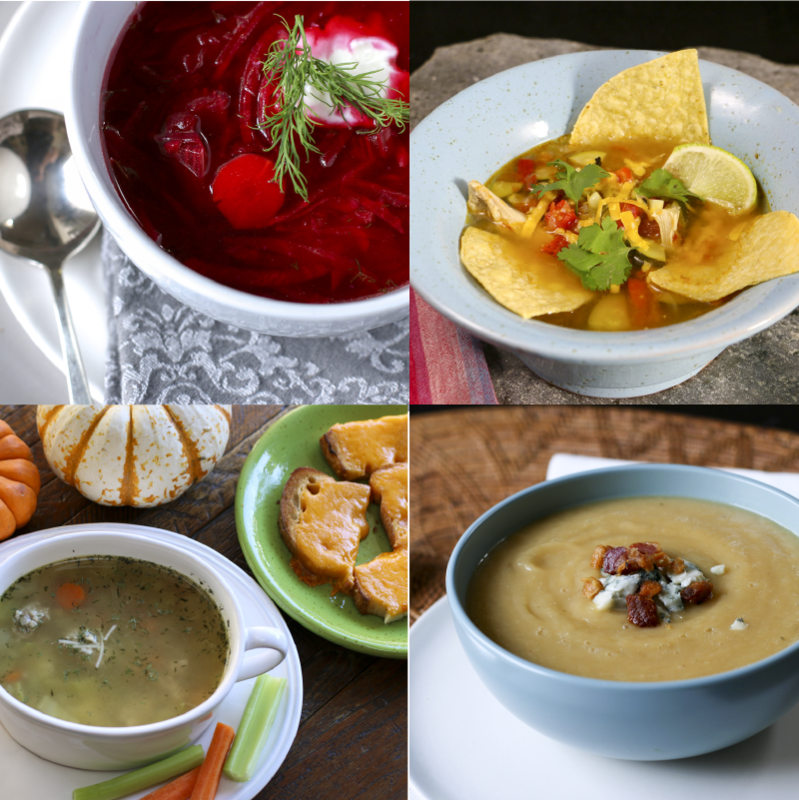 See my post on how to make these cream-less creamy soups without a recipe. Or if you would like a couple recipes to get you started try the recipes below. All can be made without cream, or you can add a bit of cream or yogurt if you wish. Tip: pureed vegetable soups freeze beautifully. So make a little extra and freeze the leftovers for a quick future meal. Americans invented the concept of huge portions of protein, with vegetable sides. Most of the world from the beginning of time has eaten large servings of veggies and fruit, and small portions of protein. Americans definitely have it wrong, but we are starting to move in the right direction. The U.S.D.A. Myplate recommends that at least half of your plate is filled with veggies and fruit. Flavor is the number one reason we choose to eat one food over another and herbs and spices are powerful superfoods that contribute to flavor. So flavor your food with ginger, garlic, cinnamon, turmeric, rosemary, sage, chili peppers, parsley, cilantro, cumin, fennel, basil, mint, nutmeg, oregano and thyme. They make other healthy ingredients more enticing and flavorful. When a dish is flavorful, there is a greater chance that we will eat it. Focusing on adding high quality nutritionally dense food rather than eliminating unhealthy food is the best nutritional strategy I have seen in a long time. If we focus on eating a wide variety of healthy foods, our occasional lapses into less healthy foods has less of an impact. This approach is more forgiving of occasional lapses and a very sustainable way to eat. This strategy gives the old saying "variety is the spice of life" more meaning. A special thank you to Stacy Morrison, Wendy Bazilian, Melanie Palomares and Jaden Hair for their Blogher Food 2014 presentation on Super Foods.